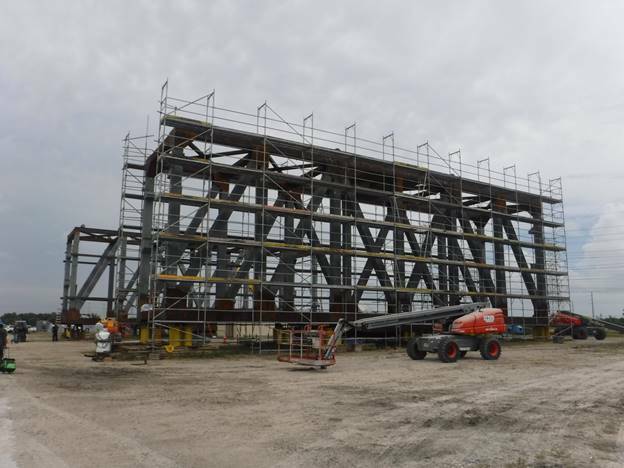 Tampa Tank Inc.- Florida Structural Steel (TTI-FSS), globally recognized structural steel fabricators, expects to ship key components for the world’s largest coal ship loader up the Mississippi River to a coal shipping facility in southern Louisiana in mid-October. Coal stored at the site will be transferred via conveyors to the ship loaders, which can sequentially or simultaneously load the material on to ships ranging in size form 50,000 deadweight tonnage (DWT) to 180,000 DWT. The loading system consists of three radial-tower type loading booms with two connecting conveyors. The three shuttles and three upper towers were fabricated at the three TTI-FSS shops in Tampa. Each tower weighs 938,305 pounds and the approximate weight of the structure is 2,300 tons. The ship loaders are designed to operate at a maximum rate of 6,000 tons per hour (TPH) each. This rate can be achieved by operating one loader or a combination of the three loaders, each of which is designed to handle 6,000 TPH. The three-tower designed, coupled with diversion gates, provides the operator with very efficient and highly versatile ship-loading capabilities. The main sections (three columns, three cradles with a shuttle installed in each, two link conveyors, and three upper towers), including electrical and mechanical components, will be assembled at the TTI-FSS shipping berth adjacent to the Port facility. The system then will be shipped by barge to the southern Louisiana site for final assembly. 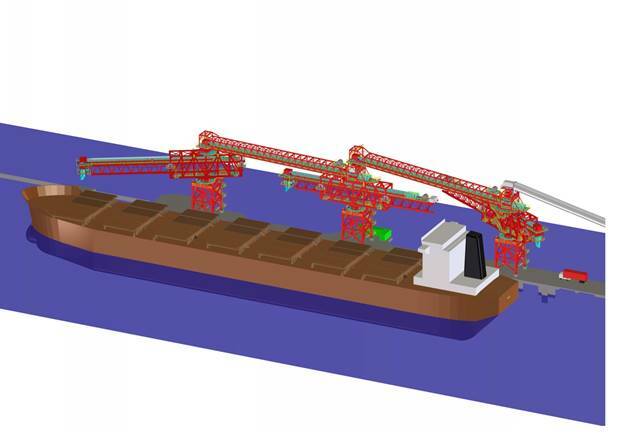 TTI-FSS fabricated the cradle and shuttle sections and the link conveyors seen in this three-dimensional drawing of the final assembly of the coal ship loader. One of the three shuttle sections required for the coal loading process. 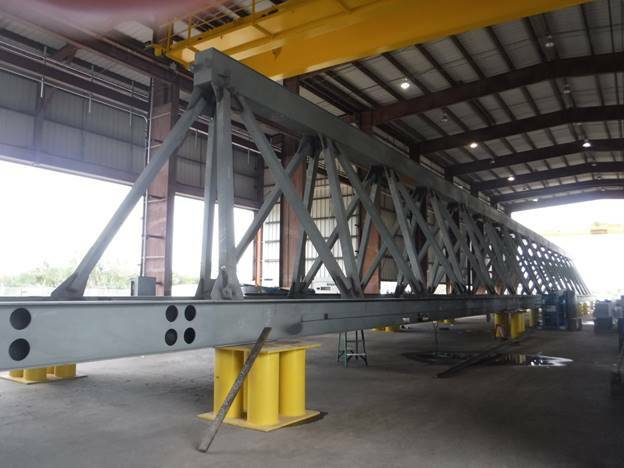 Painting scaffold surrounds one of the three cradle sections fabricated by TTI-FSS at its Port Tampa facility for Louisiana-based coal ship loaders. Tampa Tank Inc. was founded in 1953 and acquired Florida Structural Steel in 1984. The company provides complete design, shop fabrication, shipment, field erection, inspection and testing of welded steel products for the petroleum, chemical, pulp and paper, mining, electric power, water and wastewater industries. The company operates across North America, Central and South America and West Africa. TTI-FSS is American Society of Mechanical Engineers (ASME) and American Institute of Steel Construction (AISC) certified. For more information, visit the web site at http://www.tti-fss.com.